There’s a growing trend to use glass pots, clear plastic tubs and parfait cups to showcase the clean, simple naturalness of refrigerated yogurt. Glass pots, in particular, are gaining traction in the U.S.
General Mills now offers Oui by Yoplait. This new thick, creamy offering is made using a traditional French recipe and comes in French-made 5-ounce glass pots. 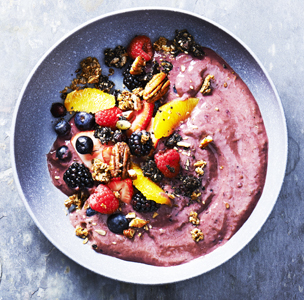 It’s made with simple ingredients, such as whole milk, pure cane sugar and real pieces of fruit. It contains no artificial preservatives, no artificial flavors and no colors from artificial sources. Oui by Yoplait is an artisanal yogurt made by pouring ingredients into individual glass pots that set after eight hours, creating a unique texture. It is designed to be spoon cut slowly, not stirred, in order to preserve its satisfyingly thick, subtly sweet, fresh taste. La Fermiere, a family-owned French yogurt company, has been a part of France’s yogurt scene since 1952. 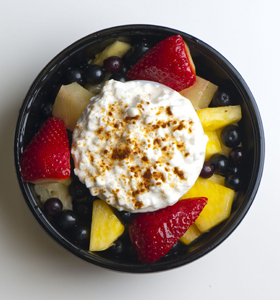 The company has started producing its yogurts in New York for U.S. distribution. 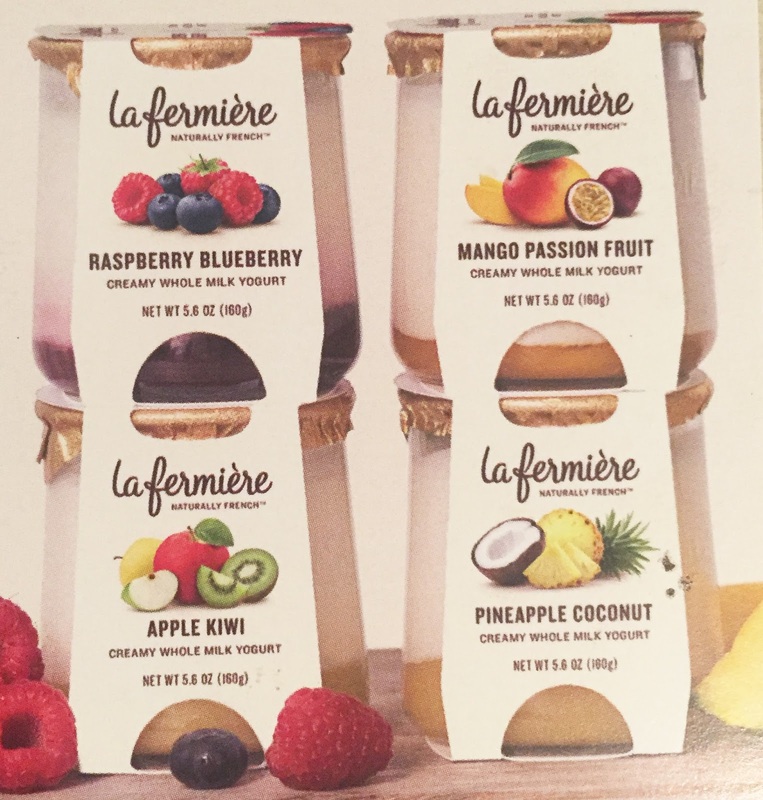 The Le Fruit On The Bottom line is a two-layered whole milk yogurt that comes in four varieties. They are: Apple Kiwi, Mango Passion Fruit, Pineapple Coconut and Raspberry Blueberry. There are a number of others entering the market. They will be featured in the near future as a Daily Dose of Dairy. Before entering the clear container yogurt segment, it’s important to evaluate your fruit ingredient component to ensure it is visually appealing throughout shelflife. In layered yogurts, this includes maintaining vibrancy as well not bleeding into the white mass. Using artificial colors in the fruit prep typically helps; however, the trend in food colorings is to go natural. This is especially true in simple dairy foods with a healthful halo. The addition of artificial colors can be a deal breaker for some consumers. 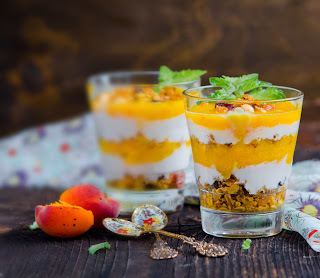 In the yogurt containing lemon prep, there was significant fade and migration in the sample colored with paprika as compared to the sample colored with a beta-carotene clear emulsion. The fade in the paprika sample was intensified under light conditions. In the strawberry samples, there was severe migration from the carmine-based colorant, compared to the samples colored with tomato-sourced lycopene. This was the case even in the samples containing pectin. There was also significant fade and distortion in the sample containing fruit prep with no added color. Similar stability was observed in the beta-carotene-colored fruit preps used in the apricot and peach samples. As expected, fade intensified under light conditions. The company also assessed the stability of natural colors under the stronger and longer heat process of scaled industrial production. In each of the samples, the colors remained stable at 95 degrees C (203 degrees F) when held at that temperature for more than 30 minutes. Beta-carotene can be tailored to achieve multiple fruit shades for lemon, pineapple, apricot, peach and mango. 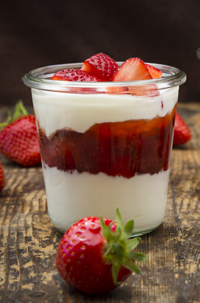 Lycopene delivers red shades for authentic strawberry and raspberry fruits that maintain their vivid hue and do not fade to purple when blended into yogurt. Both are process stable and stable to the ultraviolet light of retail refrigerators. Go ahead, grab yourself a cold one. 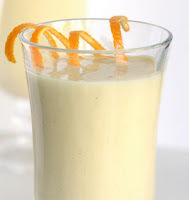 Make it a nice chilled, flavored dairy beverage. From milk to kefir to fruit smoothies, flavorful dairy beverages are growing in popularity and yes, selling in the marketplace. On the same note, plant-based dairy alternatives are rolling out in droves. But here’s the deal, most are competing in white milk space, not the flavored dairy beverage sector. This is the case because the dairy industry is allowing it. Get loud, wake up and make dairy exciting again. Those companies that are creative with flavors, forms and packaging are not complaining. It pays off. 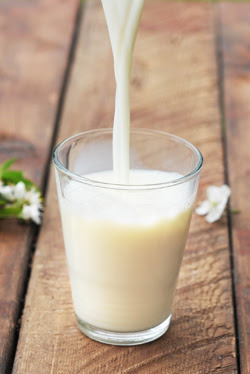 Here’s a personal story on why I believe investing in milk and dairy beverages makes sense. 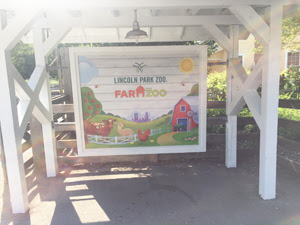 This summer I have been volunteering at Lincoln Park Zoo’s Farm in the Zoo. Lincoln Park Zoo in Chicago is one of three large urban zoos in the country that is free 365-days a year. That’s possible through volunteers, donations, fundraising, etc. 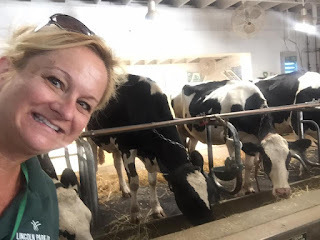 I chose to work in the farm to gain inspiration for my writing and to “hear” what moms, dads, grandparents, teens and children of all ages and backgrounds think about the food they get from the farm. I give presentations on cow milking and help guests feed the cows afterward. There’s an interactive demonstration where I teach guests how cows have one stomach with four chambers. They always walk away knowing that the only milk that comes from the cow is white and packed with essential nutrients. I also assist with goat petting, pony grooming and chicken chats. One of my favorite interactive demonstrations is called Backwards Shopping, where I have the young guests pick up a piece of play food and identify its source, either animal or plant. Never once has a guest picked up the glass of milk, the slice of cheese, the ice cream cone, the stick of butter or the cup of yogurt and pointed to the photo of the field. It’s always the dairy cow. Good news! Retail sales data from IRI provided to Dairy Management Inc., and courtesy of the Midwest Dairy Association, for the second quarter of 2017, show that total milk sales were down 2.6% year-to-date through June vs. prior year. However, the decline in the second quarter moderated, with nearly all regions posting softer losses than in the first quarter. Good news, again! 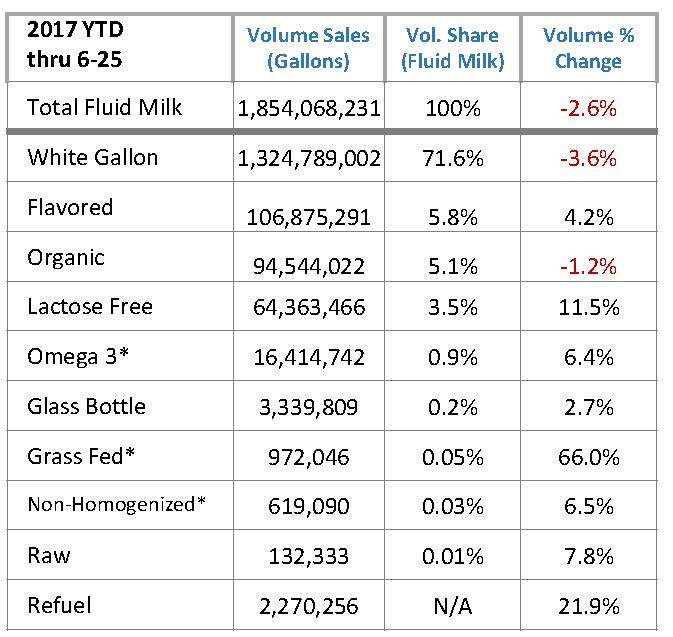 It’s no surprise, the volume leader, white gallon milk, is the driver of the decline. This is where the plant-based alternatives are hitting the dairy industry the hardest. 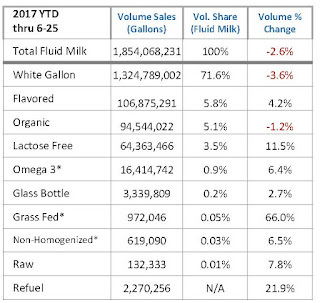 However, non-dairy alternative beverages continue to grow but at a more moderate pace (+1.7% year-to-date), according to the IRI data. Almond and coconut are the growth engines. I’ll take this as more good news! There’s some really great news occurring in the milk category that’s worth talking about, according to Cindy Sorensen, senior vice president of business development at the Midwest Dairy Association. All segments outside of the white gallon have seen volume growth. This includes: flavored milk (+4.2%), lactose free (+11.5%), omega 3 (+6.4%), glass bottle (+2.7), grass fed (+66%) and refuel (+21.9%). 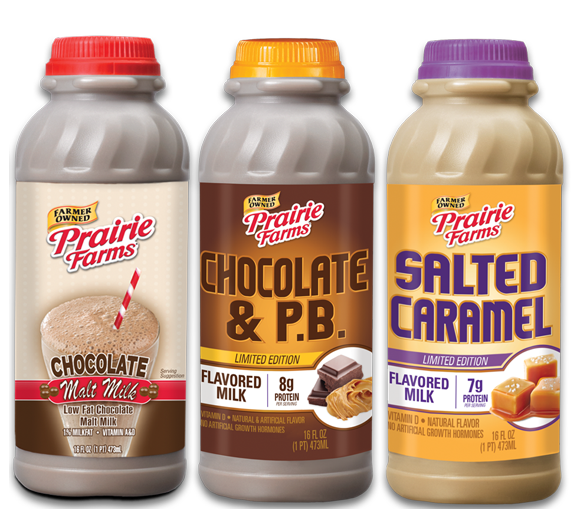 There’s a great deal of opportunity to innovate in the flavored dairy beverage sector. This includes flavored milk, in particular flavored whole milk; flavored cultured beverages, including drinkable yogurt and kefir; and fruit and dairy smoothies. Recently LaLa introduced a line of dessert-inspired yogurt smoothies called Craveables. The 6.7-ounce bottles are sold in packs of four and come in flavors such as Lemon Bar, Strawberry Cheesecake, Tres Leches and Vanilla Cupcake. A single bottle contains 140 calories, 4 grams of fat, 5 grams of protein, 17 grams of sugar and 2 grams of fiber. Flavored milk once again shined at the Wisconsin State Fair. Supplied by Prairie Farms Dairy, a leading innovator in flavored milk, the Milwaukee Bucks Milk House at the State Fair annually serves more than 160,000 cups of milk during its 10-day stint. 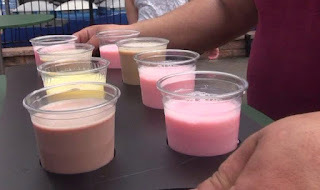 In addition to the mainstays of Chocolate, Root Beer and Strawberry, this year’s milk line-up included Chocolate Peanut Butter and Sea Salt Caramel. (There is no peanut component in the Peanut Butter Chocolate flavored milk. It is a flavor additive, not actual peanut derived extract.) Last year, the two special flavors were Banana Cream and Orange Creamsicle. So what’s trending in dairy beverage flavors? Based on my global marketplace observations, all types of fruit flavors, but in particular citrus (orange, lemon and even lime—think key lime) and tropical (banana, coconut and mango), are being used, as they add to the healthful halo. 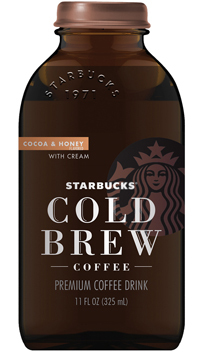 It goes without saying that coffee, specifically cold-brew coffee is a “hot” flavor. The next-generation cold-brew coffee lattes will likely have a layer of flavor in them. Think flavors beyond caramel, chocolate and vanilla. Try maple and praline. Indulgent flavors are booming, too. Limited-edition products create excitement in the category and encourage purchase. It’s time to sell the story of dairy and simply liven it up with flavor! In the egg and egg replacement industries there’s a common saying, which is “no single ingredient can replace the functional and nutritional properties of eggs.” The same is true of whey protein ingredients, albeit the attributes are different than those of eggs. No single ingredient can replace the functional and nutritional properties of whey proteins. The dairy industry needs to do a better job of formulating with whey proteins and touting their superiority. This is allowed and encouraged. If your company produces, distributes, uses or plans to use whey proteins, the place to be this September 17 to 20 is Chicago, where the International Whey Conference will take place. Held every four years, this is the meeting of the minds to discuss the past, present and focus on the future of commodity and specialty whey protein ingredients. Topics include the state of the whey protein industry, overcoming processing issues when formulating foods and beverages with whey proteins, and developing affordable dairy foods enriched with powerful whey proteins. Regulatory, marketing and current research will be focal points over the three days of packed sessions. You can view the entire program HERE. The fact is whey proteins are powerhouses. They can make a difference in the nutritional profile and ingredient list of many dairy foods, including cheese spreads, milk beverages, frozen desserts, yogurts and cultured dairy foods. They can boost protein levels and clean up ingredient legends. At one point in time, whey was considered a byproduct of cheese. Today, cheese is often made for the sole purpose of obtaining whey for the growing global market. On Monday, September 18, Polly Olson, vice president-new business, sales and marketing, Agropur, will discuss emerging markets and innovation opportunities for whey proteins. The last whey protein conference I attended was two years ago in Jerome, Idaho. Sponsored by Davisco, now Agropur Ingredients, the Alpha Summit provided a comprehensive overview of the specialty whey proteins market. Link HERE to an article I wrote on the summit for Food Business News. At the summit, Paul Moughan, distinguished professor and director of the Riddet Institute in New Zealand, explained the importance of dietary protein quality in nutrition and health. He will speak again on this topic on Tuesday, Sept. 19 at the International Whey Conference. In 2013, the Food and Agriculture Organization of United Nations recommended that a new, advanced method for assessing the quality of dietary proteins--Digestible Indispensable Amino Acid Score (DIAAS)--replace the Protein Digestibility Corrected Amino Acid Score (PDCAAS) as the preferred method of measuring protein quality. He explained that with the PDCAAS method, values are truncated to a maximum score of 1.00, even if scores derived are higher. Using the DIAAS method, researchers are now able to differentiate protein sources by their ability to supply amino acids for use by the body. The DIAAS method is able to demonstrate the higher bioavailability of dairy proteins when compared to plant-based protein sources. Dr. Moughan did say that even with the DIAAS score, you don’t get the whole story about the quality of the protein. “The single score is based on the limiting amino acid in the protein,” he said. For example, the leucine component of alpha-lactalbumin—a type of whey protein--has a DIAAS score of 2.00 and the tryptophan component is 5.50. By reporting only the single score of 1.14, which is based on the limiting amino acid valine, the quality of the alpha-lactalbumin is not accurately communicated. According to Donald Layman, professor emeritus of nutrition, University of Illinois at Urbana-Champaign, data indicate all humans need to make about the same amount of new protein every day for basic lean muscle repair and remodeling. But as we age, the efficiency of building new protein decreases. To reap the benefits of healthy muscles, one must consider the quality of the protein and the quantity of the protein at every meal. For optimum muscle health and function, research suggests that 30 grams of high-quality protein—like the protein you get from whey--should be consumed at every meal, and preferably proteins high in the essential amino acid leucine. Whey proteins make a positive difference in dairy foods formulations. Learn more at the International Whey Conference. Hope to see you there. Ready-to-drink, dairy-based, cold-brew coffee, tea and cocoa beverages have the power to grow sales in the refrigerated dairy case as consumers increasingly embrace minimal processing and the fresh perimeter of the supermarket. The fact is, cold brew has changed the coffeehouse landscape. This trend is powerful enough to make an impact on retail fluid milk sales if dairy processors are willing to invest in adding a line extension or two. While I very much appreciate unique packaging, enticing brands and millennial-centric marketing, cold-brew offerings—for fluid milk processors--might be best as a line extension in their flavored milk line up, right there with the chocolate, strawberry and maybe other flavors, in pint and half-gallon paperboard cartons or plastic jugs. Crazy, right? Or maybe not. Think about it. Retail flavored milk sales are up. Milk users are shopping the flavored milk dairy case. Make the latest flavor trend readily available to them, in a customary format. Any coffee, tea or cocoa expert knows this: if it’s quality product, it does not need sweetener (with cocoa, just a little). Hence, as consumers make an effort to reduce added sugar intake, they will seek out premium products with no or less added sugar. The cold-brewing process, which works on coffee and cocoa beans and teas leaves, makes this possible. Cold brew, also known as cold press, is beans or leaves brewed without heat. Cold brewing requires steeping in ambient- to cold-temperature water for a long period of time. The type of beans and leaves, the ratio of beans and leaves to water, the temperature of the water and the steeping time all impact the final product. This is getting noticed and embraced by consumers. Market penetration for cold-brew coffee rose to 21% in 2017 among those drinking coffee daily in the U.S., up from 15% in 2015, according the New York-based National Coffee Association. Data is not available for cold-brew tea or cocoa yet, but beverage analysts are projecting the two will be “hot” spots in 2018. 1. Don’t let packaging prevent you from getting into cold-brew, milk-based coffee, tea and cocoa beverages. Offer them alongside chocolate milk. 2. Keep added sugars low, and avoid if possible. Communicate this on the package. Quality cold brew tastes great without sweetener. 3. Offer a seasonal/limited-edition flavor to entice shoppers to try. It’s not too late to make your debut with a cinnamon spice winter offering. It works in coffee, tea and cocoa. 4. Embrace a fruity, milk infusion. Cold-brew coffee, dairy and coconut is a great combo. Cold-brew tea, dairy and berries works, too. Cold-brew cocoa, dairy and almost any layer of flavor makes for an amazing beverage. Think limited-edition offering to create excitement in the category and encourage purchase. 5. With value-added beverages, single-serve, eye-catching packaging is paramount. Co-packers can assist. (Link HERE for co-packing assistance.) There is a real opportunity to take a functional foods positioning with cold-brew, dairy-based beverages. 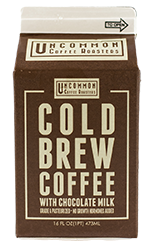 I’ve recently become aware of some functional cold-brew coffee-milk beverages that will soon enter the marketplace. In the near future, they will be featured as a Daily Dose of Dairy. There’s a probiotic drink, an energy beverage and a meal replacement. Make sure you keep dairy proteins relevant to Gen Z, powerful young consumers who are now coming of age. 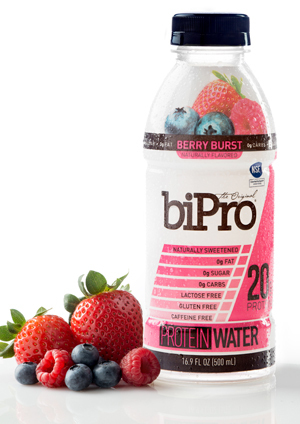 Protein…it’s the buzz word in most of the back-to-school product and promotional news releases I have been receiving the past few weeks. This protein comes from many sources and in many shapes and forms and is shaking up the food culture in America. Gen Z, which is comprised of boys and girls born from the mid-1990s to the mid-2000s, is also increasingly a leading topic in my newsfeed. They were raised during a recession by parents who often stressed about money. They learned to appreciate eating family dinners at home, while at the same time they are an on-the-go generation that seeks out convenient, value-priced portable food options. They often opt to pack a snack rather than pay a premium while out and about. They also know protein. Protein-rich foods have been an integral part of most of their life and this is likely to continue. They appreciate the nutrition, the energy and the satiation that protein provides. It’s important to keep dairy proteins relevant to these powerful young consumers who are now coming of age. Based on the many Gen Z research reports I have read, here are five food facts about Gen Z and their influence on dairy foods innovations. 1. Gen Z grew up drinking yogurt. Dannon’s Danimals drinkable yogurts debuted right around the time the first Gen Z’s learned to hold a beverage bottle. They’ve been drinking yogurt ever since and continue to appreciate this format. The time is right to offer new concepts that speak to their changing taste preferences and nutritional needs. This includes higher protein and caffeinated (for energy) products. 2. Protein bars replaced candy or granola bars in their lunch boxes. You say tomato, I say tomahto…Millennial parents thought giving their kids a granola bar was a healthier choice than a candy bar. More often than not, this was not true. Both are loaded with sugar and not much else. Then entered the protein bar, the favorite go-to-snack for parents of Gen Z and eventually Gen Z’ers. Gen Z knows that choosing protein is smart. It’s always been a part of their life and they are open to trying new formats. 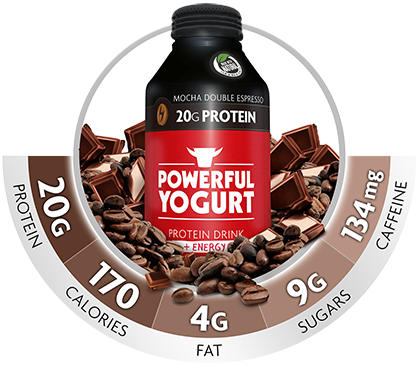 Protein-powered ice cream, cheese snacks, puddings and cultured dairy are great portable concepts for this convenience-driven demographic. 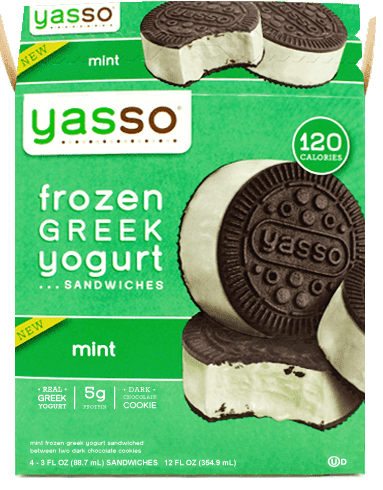 New Yasso Frozen Greek Yogurt Sandwiches are a product with Gen Z appeal. 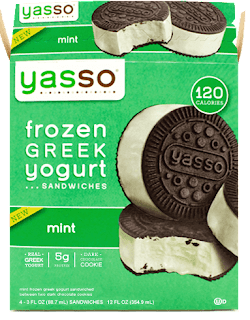 The portable protein treat come in Mint (mint frozen Greek yogurt between dark chocolate cookies) and Vanilla (vanilla frozen Greek yogurt between dark chocolate cookies) varieties. A 3-ounce sandwich contains 5 grams of protein from the Greek yogurt and added milk protein concentrate. 3. Soda machines were removed from their schools and school-provided lunches got healthier.Real-life nutrition education made its way back into the classrooms of Gen Z. Teachers and coaches influenced what snacks could be shared at birthday celebrations, holiday parties and after the big game. Gen Z learned to read food labels to make sure the snack met the criteria. They are saying goodbye to sugar—La Croix is their preferred carbonated beverage--and artificial additives. Dairy foods are real, whole foods. 4. Gen Z leans towards real foods to refuel and energize versus supplements and quick-fixes. Chocolate milk—especially protein-enhanced versions--for refueling resonates with Gen Z. Cold-brew lattes beat Red Bull hands down. 5. They value authenticity, simplicity and sustainability more than customization and organic, but the latter two are still important. Environmental education has Gen Z asking critical questions about their food. Many of their schools have edible gardens, aquaponics and composting. They want to know who is growing their food and how, as well as the waste stream. This is a generation that only knows life with a recycle bin, maybe multiple bins to separate the various streams. They are attracted to sustainable food practices and foods from Mother Nature. Organic sounds nice, but it’s just another label, and Gen Z does not like labels. To them, the story is more important. They want transparency from farm to fork, which makes dairy very relevant. Trader Joe’s, with its on-trend, lower-cost private-label products, resonates with Gen Z, a generation who was raised during a recession and understand the concept of value. 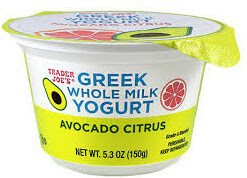 The retailer recently rolled out Avocado Citrus Greek Whole Milk Yogurt. Known for its tart flavor and thick texture, Greek yogurt becomes even thicker and richer when made with whole milk and blended with buttery-soft avocados. This product is brightened with real blood orange concentrate and sweetened with cane sugar. A 5.3-ounce cup contains 11 grams of protein, 190 calories and 15 grams of sugar. It sells for sells for 99 cents. Gen Z promises to be an enjoyable demographic to innovate for and market to. They are curious, adventurous and transparent, and they want their foods to be the same. It’s time to start brainstorming and getting creative for this group. Want to learn more about Gen Z? Use this LINK to download a complimentary white paper from Millennial Marketing.